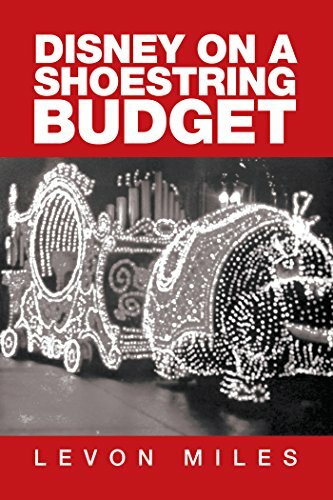 *Disney on a Shoestring Budget (Deal, Not Free) by Levon Miles. Price: $0.99. Genre: Nonfiction Book Deal, Sponsor, Budget travel, Discounted Disney Holiday. Rated: 5 stars on 1 Reviews. 86 pages. ASIN: B06XD9TDWT. *Driving Thailand: Thailand Diaries – Volume 2 by James King. Price: Free. Genre: History, Asia, Travel, Asia, General. Rated: 5 stars on 4 Reviews. 70 pages. ASIN: B06X8ZDL85. Even Everest Shook: Caught in the Nepal Earthquake 2015 by Tony Hill . Price: Free. Genre: Travel, Asia, Nepal, General. Rated: 4.6 stars on 5 Reviews. 122 pages. ASIN: B012GVRCC4. Posted on April 30, 2017 Author KibetCategories Budget, history, TravelersLeave a comment on Kindle Travel Deals for Saturday! Great advice on innovative ways of travel! *BUDGET TRAVEL – The Ultimate Guide: How I left an international music career, became a Digital Nomad and began exploring the most amazing places on earth – for less than $50 a day….and how YOU can (Deal, Not Free) by Gundi Gabrielle. Price: $0.99. Genre: Nonfiction Book Deal, Sponsor, Frugality. Rated: 4.6 stars on 24 Reviews. 121 pages. ASIN: B01AAMJYQI. Candles on The Ganges by Peter Upton. Price: Free. Genre: Travel, Asia, India, General. Rated: 4.6 stars on 5 Reviews. 248 pages. ASIN: B01HTNUJ88. Posted on April 29, 2017 Author KibetCategories Budget, Free Travel Kindle Books, TravelersLeave a comment on Kindle Travel Deals for Friday! Posted on April 27, 2017 Author KibetCategories Budget, Free Travel Kindle BooksLeave a comment on Kindle Travel Deals for Thursday! Excellent refresher and reminder travel book! *BUDGET TRAVEL – The Ultimate Guide: How I left an international music career, became a Digital Nomad and began exploring the most amazing places on earth – for less than $50 a day….and how YOU can (Deal, Not Free) by Gundi Gabrielle. Price: $0.99. Genre: Nonfiction Book Deal, Sponsor, How To, Free travel, Cheap Travel. Rated: 4.6 stars on 24 Reviews. 121 pages. ASIN: B01AAMJYQI. *RV Living: The Ultimate Guide To The Full-Time RV Living – Amazing Tips And Tricks For Beginners In RV Living And Boondocking! by Josef Orta. Price: Free. Genre: Health, Fitness & Dieting, Travel, Food, Lodging & Transportation, Road Travel. Rated: 5 stars on 4 Reviews. 36 pages. ASIN: B06XV1K7NT. Posted on April 27, 2017 Author KibetCategories Budget, Free Travel Kindle Books, TravelersLeave a comment on Kindle Travel Deals for Wednesday! One of the best books on travel! *BUDGET TRAVEL – The Ultimate Guide: How I left an international music career, became a Digital Nomad and began exploring the most amazing places on earth – for less than $50 a day….and how YOU can (Deal, Not Free) by Gundi Gabrielle. Price: $0.99. Genre: Nonfiction Book Deal, Sponsor,Personal Finance, How to Travel Cheap. Rated: 4.6 stars on 24 Reviews. 121 pages. ASIN: B01AAMJYQI. Posted on April 26, 2017 Author KibetCategories BudgetLeave a comment on Kindle Travel Deals for Tuesday! 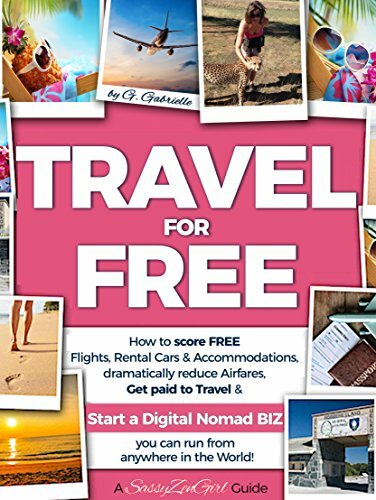 *BUDGET TRAVEL – The Ultimate Guide: How I left an international music career, became a Digital Nomad and began exploring the most amazing places on earth – for less than $50 a day….and how YOU can (Deal, Not Free) by Gundi Gabrielle. Price: $0.99. Genre: Nonfiction Book deal, Sponsor, Cheap Travel Guide, Travel Smart. Rated: 4.6 stars on 24 Reviews. 121 pages. ASIN: B01AAMJYQI. *Backroads, No Plan, Good Deeds, & Pee Wee by Cliff Ramos. Price: Free. Genre: Travel, United States. Rated: 5 stars on 4 Reviews. 540 pages. ASIN: B06XFCH9D7. *Finding Ourselves in Venice, Florence, Rome, & Barcelona: Aging adventurers discover the power of place while exploring fascinating cities at their own relaxing pace. by Al Lockwood, Sunny Lockwood. Price: Free. Genre: Biographies & Memoirs, Travel. Rated: 4.6 stars on 11 Reviews. 246 pages. ASIN: B01J6J25DA. Posted on April 25, 2017 Author KibetCategories Biographies, Budget, Free Travel Kindle Books, memoir, TravelersLeave a comment on Kindle Travel Deals for Monday! *Disney on a Shoestring Budget (Deal, Not Free) by Levon Miles. Price: $0.99. Genre: Nonfiction Book Deal of the Day, Sponsor, Budget travel, Discounted Disney Holiday. Rated: 5 stars on 1 Reviews. 86 pages. ASIN: B06XD9TDWT. Everything But The Squeal (new version with images) by John Barlow. Price: Free. Genre: Cookbooks, Food & Wine, Regional & International, European, Spanish, Travel, Europe, Spain, General. Rated: 4.4 stars on 21 Reviews. 320 pages. ASIN: B007Y94T6Q. Posted on April 24, 2017 Author KibetCategories Budget, Free Travel Kindle Books, TravelersLeave a comment on Kindle Travel Deals for Sunday! Antigua Guatemala: The Essential Guide: 2017 Edition by Rich Polanco. Price: Free. Genre: Travel, Caribbean, Antigua and Barbuda. Rated: 4.4 stars on 6 Reviews. 229 pages. ASIN: B01MTEKGFO. Posted on April 22, 2017 Author KibetCategories Budget, Free Travel Kindle Books, TravelersLeave a comment on Kindle Travel Deals for Friday! *When The Road Beckons by Ravi Manoram. Price: Free. Genre: Travel, Food, Lodging & Transportation, Road Travel. Rated: 4.5 stars on 27 Reviews. 319 pages. ASIN: B00YAFRDX8. Posted on April 20, 2017 Author KibetCategories Free Travel Kindle Books, TravelersLeave a comment on Kindle Travel Deals for Thursday! *Everyone Said I Should Write A Third Book: Blimey! Even more travels and adventures of a sailor and explorer. (Everyone Said… Book 3) by Jonathan White. Price: Free. Genre: Biographies & Memoirs, Travelers & Explorers. Rated: 5 stars on 11 Reviews. 290 pages. ASIN: B00NJ6LHAO. First Cruise: Tips and Secrets to Having a Successful Cruise (Tricks, Travel Advice, Beginner’s Cruising, Vacation at Sea) by Hunter J. Linwood. Price: Free. Genre: Travel, Specialty Travel, Cruises. Rated: 4.6 stars on 5 Reviews. 39 pages. ASIN: B06Y1ZH196. Posted on April 20, 2017 April 20, 2017 Author KibetCategories Biographies, Free Travel Kindle Books, memoir, TravelersLeave a comment on Kindle Travel Deals for Wednesday!